Vargebakkane at Valdresflye is a place in the highland of Norway. 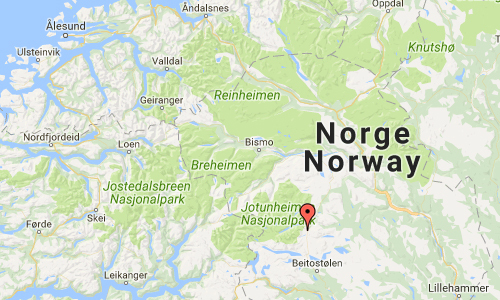 National Tourist Route Valdresflye runs from Garli to Hindsæter, with a detour to Gjende, a total distance of 49 km (Road 51). This is an excellent alternative if you are heading north, or it can be included in a wide variety of round trips. 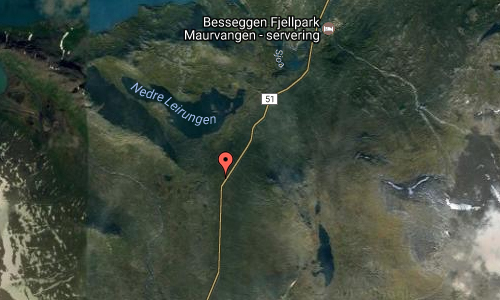 Parts of the route are closed during the winter between Garli and Maurvangen but the stretch between Hindsæter and Gjendesheim is open. Red flags in the map show where the road will be closed. The road is normally closed in December and reopens in April. 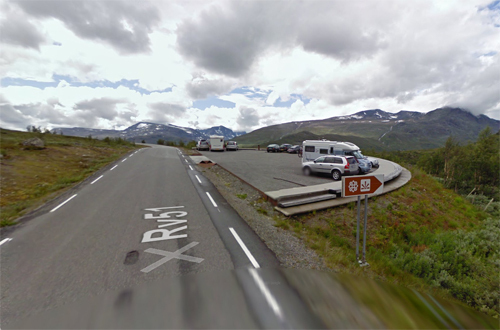 Access to Gjendesheim is from Randen (Road 51) or Sjoa (Road 257). Drivers must keep an eye open for domestic reindeer on this section of road. In the menu below you will find useful links that we hope will be helpful. For more tourist information, please contact local and regional tourist agents. The road swoops and stretches out ahead in long sweeps of undulating terrain. It’s easy to let your thoughts soar to the heights of the mountains on the horizon. 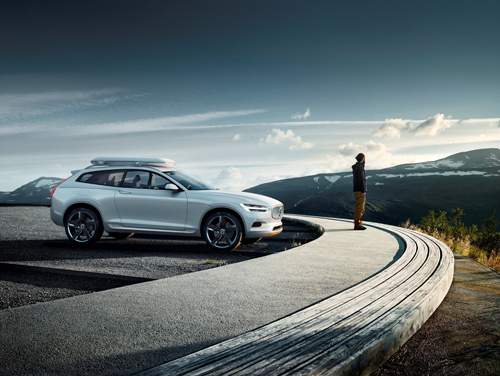 The natural surroundings are both alluring and within reach, and the road hugs the landscape as a secure mooring. The landscape can appear drowsy and friendly but the road is closed in the winter for good reasons. When winter tightens its icy clutch and remorseless winds sweep over the plateau, the huge snow masses make the task of keeping the road open too demanding. When everything is bathed in light in the summer there are no dark shadows. Regardless of where you stop you don’t need to go far before feeling you’re on an expedition. The open landscape needs little human intervention, and the rest areas and art works blend into the background and draw your attention to individual features. Valdresflye forms a composite picture rather than presenting hidden secrets. Serenity is the dominating quality in the experience of this vast landscape. The construction of roads in the mountains helped to link the various regions of Norway. More people were able to experience the mountains and the roads were very useful for summer mountain farms. 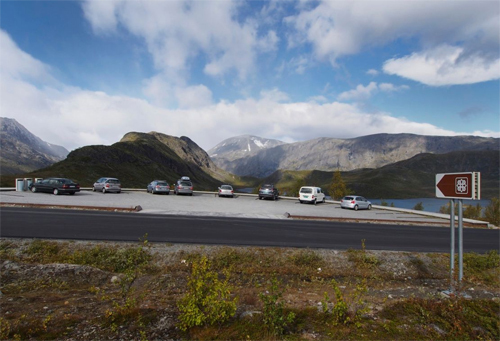 The majority of mountain roads in Norway have therefore been a key factor for the tourist industry ever since they were built, allowing us to explore the mountains easily and safely. 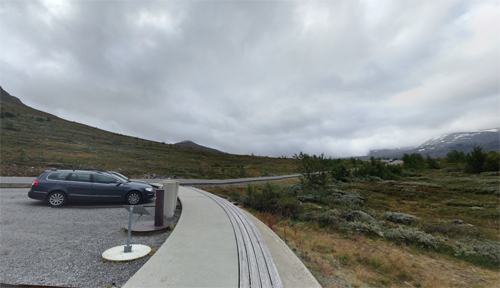 Valdresflya is a good example of such a road. You can make a stop almost anywhere and go for long or short hikes in the mountains. Rjupa and Vargbakkene are specially adapted stops but they are by no means the only places where you should have a break from driving. At summer mountain farms you have the opportunity to buy butter, sour cream and cheese produced in the traditional manner. More information at www.thetourexpert.com and www.nasjonaleturistveger.no.